The official Nintendo UK Store has announced the pre-order bonus for Nintendo Labo Vehicle Kit. 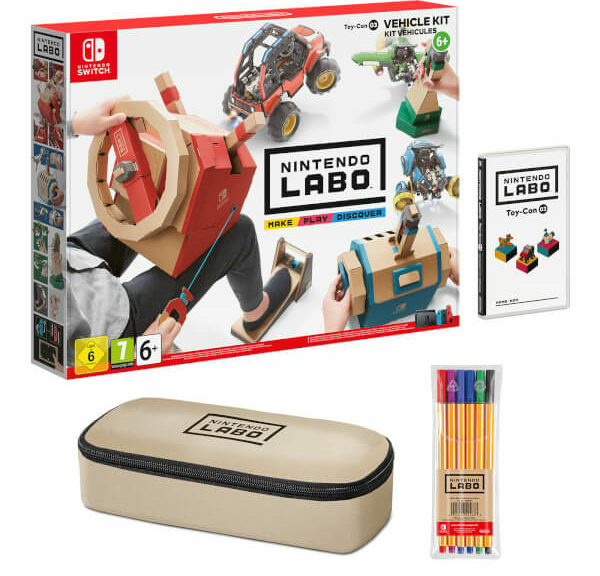 All pre-orders come a Nintendo Labo marker set and pencil case, exclusive to Nintendo UK Store. Nintendo Labo Vehicle Kit launches September 14, 2018. Pre-order here (ships within UK only).